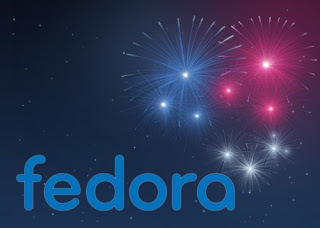 Fedora login screen has a new background image but everything else still looks the same. This is not surprising. It has been only 6 months since the last release. The real changes are under the hood and in the applications that come with Fedora. Most noticable a new version of the Gnome desktop environment, the Gimp image editor with its long awaited single window mode & the LibreOffice word processor. There are also some new applications included, e.g. Gnome Documents to manage your local documents as well as documents stored online at Google or Dropbox. The filesystem layout has changed which can cause troubles upgrading from previous versions & for custom written scripts but will not be noticeable by most users. There is a new virtualization front end called Boxes but still most users will prefer to use VirtualBox which is also easy to use and has support for 3D acceleration. Fedora 17 seems to boot a bit quicker, the desktop feels a bit faster and menus are more responsive. It comes with Linux Kernel 3.4 which includes support for new hardware and enables power saving features for Intel’s Sandy-Bridge chips. Many small improvements come with the new 3.4 version of Gnome.